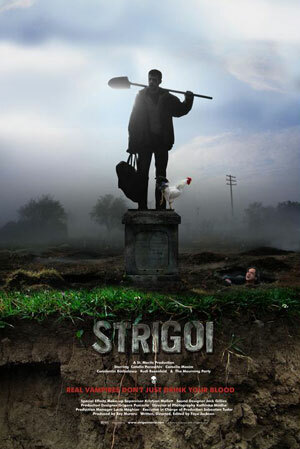 STRIGOI is an incredible and original new vampire flavoured film with its roots firmly set in Romanian mythology (as well as political subtexts). 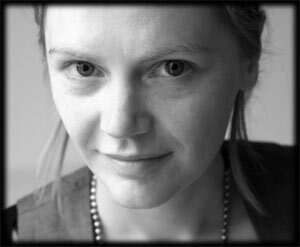 We asked director Faye Jackson a few questions about the making of this fantastic movie. We love the originality of Strigoi - how did the story evolve? I've been visiting Romania regularly over the past 10 years (my husband Rey is Romanian, he's also the producer). During this time I've come across so many people, stories, ideas etc. I wanted to get down on film and STRIGOI is the culmination of a lot of these things. Romania is changing really fast and there are all these amazing contrasts between the old and the new, and I became fascinated by the scars the Communist regime has left on the country. Plus, I just really like the villages and the people I've met there. The original concept for the film was "the Romanian Revolution set in a small village except this time the Ceaucescus come back as vampires", but the characters quickly took over and made it something more human and mysterious. Was there much research involved and was any of it based on actual myths or folklore? I did some research, but I didn't take it too seriously. There are so many different versions of the Strigoi myth so I knew I had a lot of leeway. I wanted to create something that could fit in with traditional stories about strigoi, but that could also be mistaken for medical symptoms by the lead character. I also became really interested in the traditions and rituals surrounding death and burial. A lot of them seemed to presuppose the existence of strigoi, even if the people who still carry on with these traditions don't really believe in strigoi anymore. For example, it's still common in the villages to dig up a person's bones after 7 years and re-bury them. There are a few reasons for this, but it also ties in with the idea that you have to check a person's body after they're buried to make sure they're really at rest. What was your main aim in making this movie? When I came across the strigoi myth, I just fell for it. I think the first strigoi story I read had a family returning from burying their uncle only to find him sitting in their best chair eating their dinner. I just thought it was a really funny, striking image and one that said a lot about family and history. I wanted to tell a story that people hadn't heard, and create a world on film that expressed all of the character of the one I'd discovered. Were the dark comedic undertones part of the idea from the get-go? That's just my sense of humour. It attaches itself to everything I write. But, luckily, my sense of humour is kind of Romanian. Was the location your first choice, and what were the advantages and drawbacks? The location was my first choice, it's this village in the North East of the country called Podoleni. I love the church (it's unique, there's not another like it) and it has this beautiful atmospheric train crossing. We used locals for extras and they were fantastic. Sometimes the sound was a problem (geese, chickens, roosters, dogs, cows etc. etc.) and it was hard to persuade a crew to leave Bucharest for a month. But it was so much more fun than the studio portion of the shoot. When would be the best time of year to visit this region? Any time really. Romania has four proper seasons - beautiful hot summers and deep snow in winter. My personal favourite is autumn (which is when we shot) because the colours are amazing and there's the most happening on the roads because all the fruit and crops are ready for harvest. Was it difficult funding Strigoi? Yes. But we're incredibly lucky we did it when we did. It was a close run thing and we thought about postponing a year, but if we had it wouldn't have happened. The majority of the players look so authentic - how many of the performers are non-actors? Very few! Maybe a couple of the most minor parts or non-speaking roles were played by extras. For the main and supporting roles, we spent a long times casting a combination of Film, TV and Theatre actors. They all did an incredible job, and inhabited their roles to such a degree that most of the people in the village assumed they were locals. In what format did you shoot, and what processes did you use to give the movie its look? We did it almost completely old school 35mm. Apart from a couple of title shots and one problem scene, everything was shot, processed and colour timed analogue (almost nobody does that any more). We used the autumn setting as a starting point for the look of the film. We also shot a number of scenes at magic hour (dawn and dusk having a special significance for strigoi). As the mystery deepens more and more of the film is set at night, and as the story progresses, those nights get darker and darker. How has the movie been received? We've only had one public screening so far at Toronto After Dark and that was fantastic. The audience was really great. It was brilliant to see it with an audience and see people really getting it. And we won Gold in their Best Independent Film competition, so it couldn't have gone any better. (STRIGOI will make its African debut at the 5th annual South African HORRORFEST Film Festival, 29 October - 5 November 2009 - www.horrorfest.info). Did you have a dilemma to make Strigoi more gory, or less so? I never really thought about it in that way. The traditional way to kill a strigoi is to cut out their heart and burn it (and sometimes this still happens!) http://www.guardian.co.uk/world/2005/jun/19/theobserver , so that was always going to be a part of the story for me. And I wanted to approach it in the same matter of fact way I was approaching the rest of the story, so that dictated the level of gore. What advice do you have for new movie makers? Just get on with it really. There are so many ways to start now, I started at a Video Production group at University, but people can probably make more sophisticated movies on their phones now. You have to be almost inhumanly persistent and resistant to rejection (cockroach-like really) but when it's good it's the best job ever. And make the effort to find decent actors, it makes a huge difference.